Recall your first reading of a favorite book: pulse quickening with resonance, your fascination with this new, yet familiar, world fueled by desire to forfeit reality for another moment with characters who feel like old friends. That expansive, lingering ache when life calls you to set the book aside, and the heady rush of picking up where you left off in the pages. This is how I felt the first time I followed Janie through Zora Neale Hurston’s Their Eyes Were Watching God, the intensity and depth of that adventure a singular event until recently when I met Miss Ivoe Williams in the pages of LaShonda Katrice Barnett’s breathtaking debut novel, Jam on the Vine. In the opening scene of Barnett’s lush novel set in 1897, we meet Ivoe, a girl of fierce integrity with a love for the written word so strong she risks guilt—and severe punishment—to steal a newspaper from her mother’s employer’s bedroom. Readers follow as she sprints from the Starks’ mansion in Starkville to her family’s tiny cabin in Little Tunis, an unyielding, overpopulated scrap of land in central-east Texas. Ivoe is nine, a child raised by the first generation of African Americans born free, and already keenly aware that rules sustaining the status quo need to be broken. With Ivoe, readers share maturation’s every sweetness and sting. Townspeople in white sheets burn down her beloved country school, yet anonymous donors send enough books and newspapers for school to resume. After another lively dinner debate with her family, she writes to President McKinley, persuading him to permit her brother to enlist. The letter earns her a trip to the state capital, where she is invited to read it to the President himself at the All State Educators’ Conference. These are the formative events by which the budding activist and writer dedicates herself to changing her world, one article at a time. The first of her family to attend university, Ivoe falls for collegiate life—and Berdis Peets, a theatrical, brash pianist. Journalism professor Ona Durden sees potential in Ivoe, encouraging her to set type for—and write!—her own articles, and together they reinvigorate the school newspaper from the relative security of the campus as mounting racial tension holds the rest of Austin hostage. Berdis resents Ivoe’s newfound passion for steamy, clacking machinery and her growing desire for Ona’s approval. Upon graduation, Ivoe returns to a Little Tunis in which the racial tension she reported on throughout college destroys the town. Driven to poverty and fearing for their lives, many families flee north, including Ivoe’s own. They choose Kansas City, where Ivoe has finally landed an interview. When the editor meets her, he gives the job to the only white boy in the room. 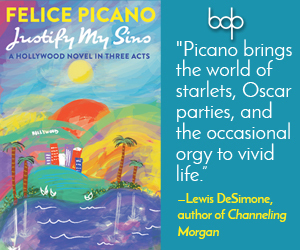 The Williams family is forced to reinvent themselves: brother Timbo becomes a union coordinator, sister Irabelle moonlights as a jazz musician, and mother Lemon coaxes a cottage industry from her tiny plot of city land. Ivoe is lost until Ona arrives. The two create the country’s first female-run African American newspaper, Jam! On the Vine, printing stories misreported and ignored by flagship outlets, and addressing issues affecting members of their newfound community, such as false arrests and police brutality. 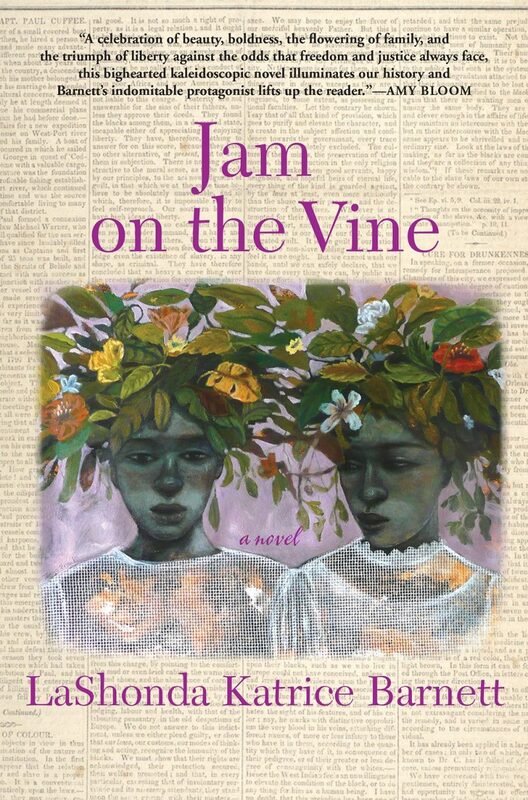 Jam on the Vine will resonate with many kinds of readers in myriad ways. Not only is it a well-researched and historically accurate account of southern African American survival, northern migration, and identity formation, it is an arresting real-world allegory. Although Barnett’s writing is as skilled as Zora Neale Hurston’s in Their Eyes Were Watching God, she will not face the same critique Hurston faced for addressing only the ‘smiling aspects of life.’ Barnett serves the bitter and the sweet in Jam, and does not deign to make either palatable for any particular audience, presenting contextual nuances as daily challenges met by her characters, who are as realistically complex as their readers. The decisions her characters make are difficult. The world in which they love and breathe is perilous. Yet readers turn the pages of Jam with reassurance that there is no sweet without bitter. There are no victims in Jam on the Vine. There are no stereotypes, no archetypes, and no flat characters. 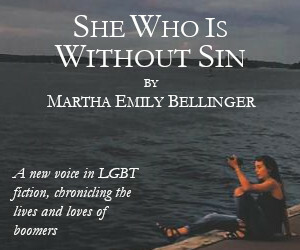 Rather, there is a vibrant cast making mistakes, facing injustice, and falling in love. Earning recent praise linking her work to Alice Walker, Toni Morrison, and Sarah Waters, LaShonda Katrice Barnett is a writer whose star is on the rise, and her decadent debut novel, Jam on the Vine, is not only a timely, much-needed clarion call for modern readers, but is easily my favorite book of 2015. Mel Morrow holds a PhD in Creative Writing from the University of Wisconsin-Milwaukee and is the Marketing Coordinator for Boswell Book Company in Milwaukee, Wisconsin. She skates under a hilariously dirty derby name for the Midwest Roller Derby Collective, of which she is a founding member. She is an avid reader and writer who enjoys riding her bike around Milwaukee and lounging with her two naughty Old Lady cats.